Amcor Rigid Plastics struck gold in the beverage/non-alcoholic category in the AmeriStar Package Awards Competition sponsored by the Institute of Packaging Professionals (IoPP). 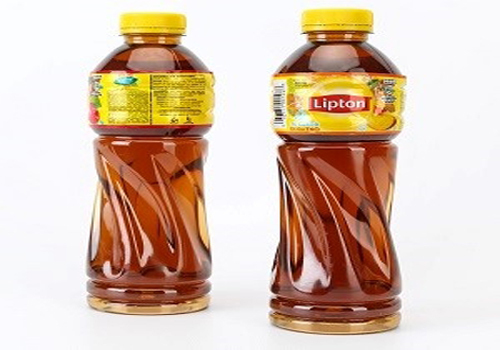 IoPP gave the award to Amcor for its development of an ultra-lightweight, hot-fill polyethylene terephthalate (PET) container designed exclusively for PepsiCo-Lipton’s tea drink brand in Central America. It was initially launched in El Salvador and has since been introduced in Mexico and other Central American regions. The 500ml package weighs only 22g, 30% lighter than a standard heat-set PET container that weighs about 34g. It utilizes a 33mm finish that features a 50% reduction in material over a traditional 38mm finish. As a result, greenhouse gas emissions are cut by 26%, energy use is reduced by 23%, and water consumption is decreased by 24%. The new container also results in a 26% reduction in the amount of waste that could potentially end up in a landfill, according to Amcor. Moreover, the sleek leaf body panels aid in the vacuum while providing visual movement and a comfortable gripping surface for the consumer. Amcor said the new heat-set PET container enables manufacturers to achieve aseptic filling packaging weights without the prohibitive investment, while offering a more eco-friendly option. The PepsiCo-Lipton container is an extension of Amcor’s ultra-lightweight technology which was previously employed in a new sports beverage package in Latin America. Amcor applied its vacuum absorbing base (VAB) technology to the base and ERGO technology to the body. The VAB base is a light weighted diaphragm-like structure that aids in the cooling process by helping to absorb vacuum. From a design aspect, Amcor’s industrial designers focused on creating a package that evoked a subtle feminine cue with movement. Grip panels were inspired by the North American Pandora package that abstractly simulates the curvature of a tea leaf and lifts the consumer’s eyes toward the label. Along with the ultra-lightweight container, Amcor and Bericap, in cooperation with PepsiCo, developed the industry’s lightest 33mm tamper-evident finish/closure for hot fill, weighing in at just 3.7g, which is 7.9g lighter than standard ALCOA. Made of high density polyethylene (HDPE), this new finish led to the creation of a Bericap closure with a built-in seal that eliminates rubber liners or induction seal foils.